Our specialized services are designed to help you with specific issues. We’ve listed some of them here. Do get in touch with us if you have some other unique requirement. Basement Waterproofing: Seepage of water into basements is one of the most common problems we encounter. We start by identifying the cause of the seepage whether it is water logging or water table issues around the foundation pillars. We then work out a customized solution to help you solve the issue completely and also help you with solutions to ensure that the problem doesn’t recur. Say goodbye to a wet basement and convert it into usable space with our custom solutions. Crawl Space Repair: Does your place smell dank and musty? Are your floors sagging under simple weight? Do you notice condensation on your windows that wasn’t there before? This could mean that there are issues with your crawl space that need to be addressed immediately! Depending on the seriousness of the problem, we offer everything from crawl space liners to systems that prevent vapor from accumulating there. Indeed, a dank house is an unhealthy house, so get that problem fixed right away. Sump Pump Systems: Old sump pumps need repair and restoration once in a while. When it doesn’t work well enough, a faulty sump pump can cause your basement to be flooded and give you new problems to deal with. What’s more, having a sump pump could also work as an alternative source of water. We recommend that you have your sump pumps examined every year for problems. We can help you with the inspection and restoration, right from removing debris to ensuring smooth operation. If we find that your existing sump pump has been worked beyond repair, we can help you with sump pump solutions that are effective and long lasting. Foundation Repair: Foundation problems are as unique as the home itself. Each house has a crack at a different place that is cause the house to collapse slowly. 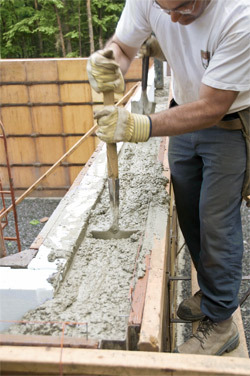 When identifies correctly and repaired in time, foundation repairs can be a trivial issue. At Dobel, we have structural repair professionals who have several years of experience in identifying just where the problem lies and how to repair it with minimal harm to the house structure. Whether it is the buckling walls bother you or the sagging floors, a home will tell you that there is a foundation issue in many ways. Our professionals can help you with simple solutions to fix these problems. Earthquake Retrofitting: Never take chances with natural calamities, because they strike without a warning. During an earthquake, even the strongest of homes could slide off of their foundations, as most homes are not built to withstand horizontal load as happens in an earthquake. With our earthquake retrofitting solutions, buy the peace of mind that you completely deserve. If your home is already damaged by an earthquake, we can help you repair your foundation from the deepest level so you wouldn’t have to worry anymore.